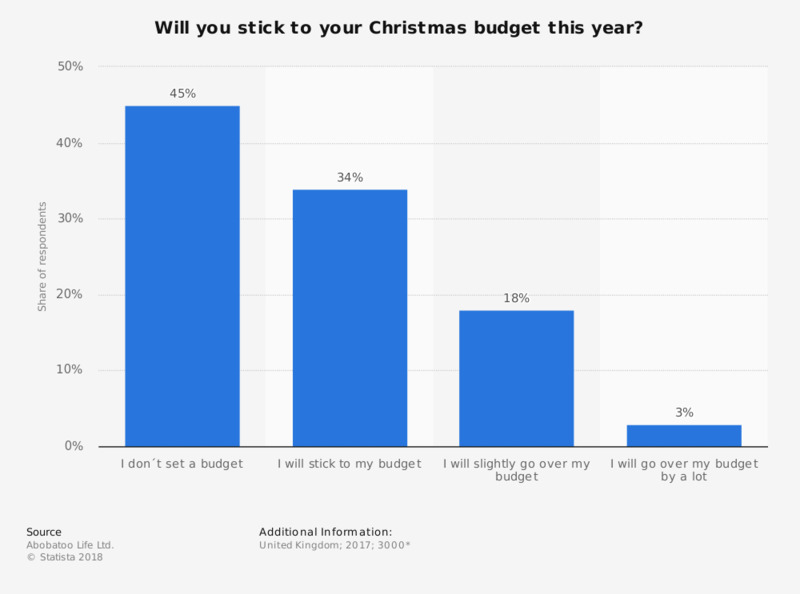 This survey was aimed at assessing the Christmas spending habits in the United Kingdom (UK) in the year 2017, stating the question "Will you stick to your budget this year? ". While the majority of 45 percent reported not setting a budget, 34 percent of respondents planned to stick with their budget and 18 percent mentioned slightly surpassing their budget.